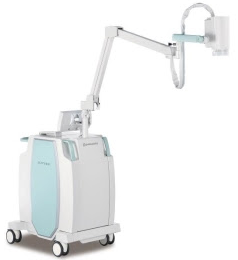 The Lightvision near-infrared camera from Shimadzu is designed to support breast cancer treatment through the visualisation of lymph vessels and blood vessels. The company’s first product in the near-infrared imaging market, Lightvision detects NIR fluorescence emitted from indocyanine green (ICG). The system creates real-time contrast images of lymph vessels below the surface of tissues by administering ICG through the lymph vessels, exposing the tissue to excitation light, and detecting the tiny emission of near-infrared (NIR) light from the ICG. This visualisation allows surgical procedures to be carried out while monitoring the position of the lymph vessels being excised. It is particularly helpful with regard to sentinel lymph nodes, which are important for diagnosing the metastasis status of cancer cells during breast cancer surgery. Monitoring of ICG also allows blood flow to be monitored during surgery by intraoperative angiography. The increasing rate of breast cancer prompted Shimadzu to develop the system to support the diagnosis and treatment of the disease. The high morbidity rate of breast cancer, compared to other cancers in women, means there is an urgent need for countermeasures. However, diagnosing the metastasis of cancer cells during breast cancer surgery requires identifying the position of sentinel lymph nodes with a diameter of only a few millimeters, and then excising those nodes to diagnose their pathology. If the cancer has not metastasized to the sentinel lymph node, then auxillary lymph node excision can be omitted to prevent lymphedema and help maintain the patient’s quality of life after surgery. For this reason, surgeons want to accurately determine the position of lymph nodes and quickly proceed with surgery.